The development of wind music in Lutheran churches. Music by Senfl, Josquin, Isaac, Scheidt, Schütz, Bach a.o. A project to honour the death of Hans Leo Hassler 400 years ago with Vokalensemble Bacchanto directed by Raphael Jud. 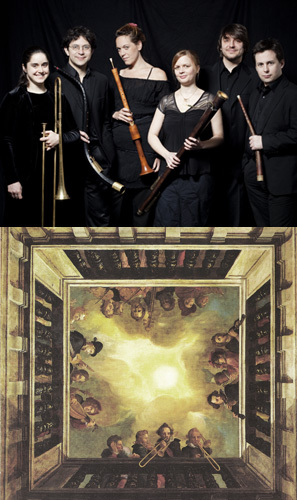 Music from the 16th century court of Parma embellished with virtuosic diminutions by masters like Bassano, dalla Casa or Bovicelli and by the ensemble itself.